The flagship floorstander of the Uni-Fi Slim series is a beautiful, precision instrument that offers advanced technology with its concentric midrange/high-frequency transducer and proprietary aluminum-cone drivers. These support a 3-way, bass-reflex design that delivers a sound and appearance unequalled at their price point. 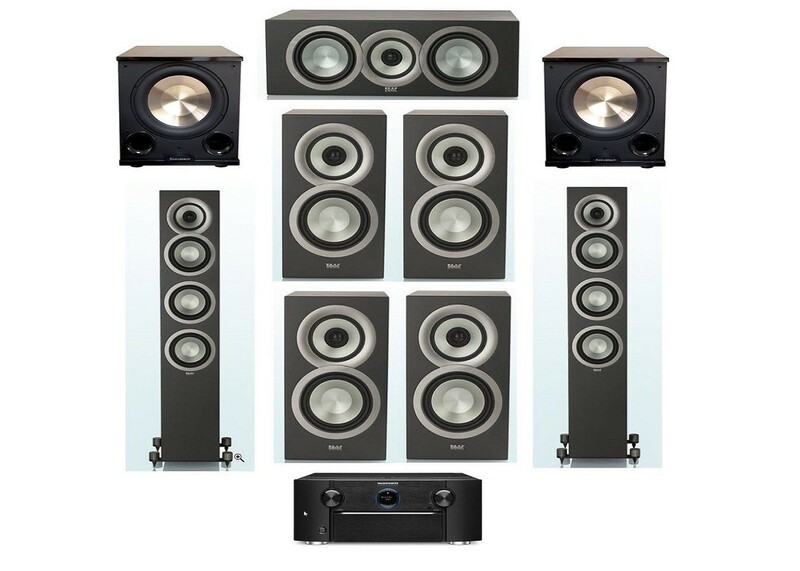 Add a subwoofer to create a very serious two-channel system, or use it as the heart of a no-compromise surround set up. Space constraints should never compromise great sound, and the Uni-Fi BS U5 Slim is the perfect solution when floor space is at a premium, but audiophile sound and refined good looks are not negotiable. Using the same outstanding driver and crossover components of its bigger brother, this compact, 3-way, bass-reflex monitor delivers the sonic signature of Uni-Fi in a smaller package. Marantz SR7011 9.2 Channel Full 4K Ultra HD AV Surround Receiver with Bluetooth and Wi-Fi. Coming soon - control with Alexa voice commands. Surround yourself in thrilling 3D surround sound with the most complete immersive format including Dolby Atmos, DTS:X, and Auro 3D (via paid upgrade). And thanks to the receiver's 9 high quality amplifier stages, each providing 125 W of pure Marantz power and finesse, you can drive a full 5.1.4 home cinema setup without the need of additional external amplifier.